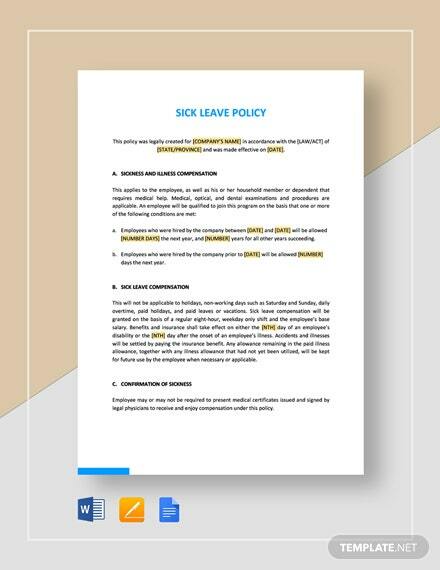 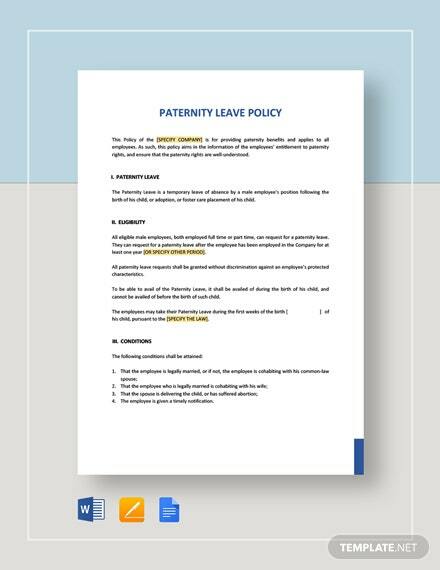 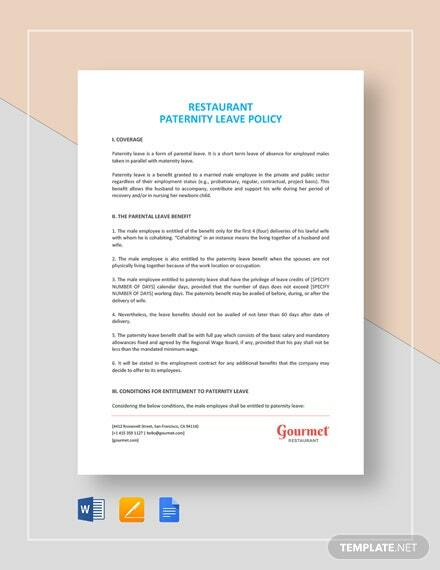 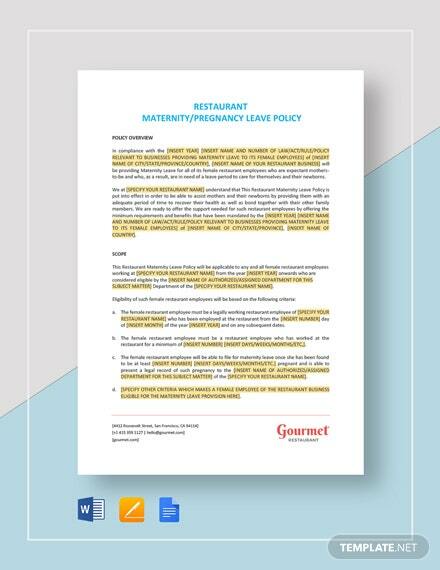 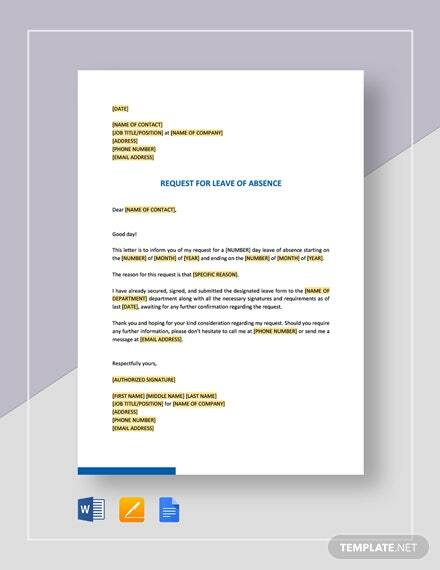 Create a policy for your employees that allow them time off to take care of personal matters using this Personal Leave Policy template. 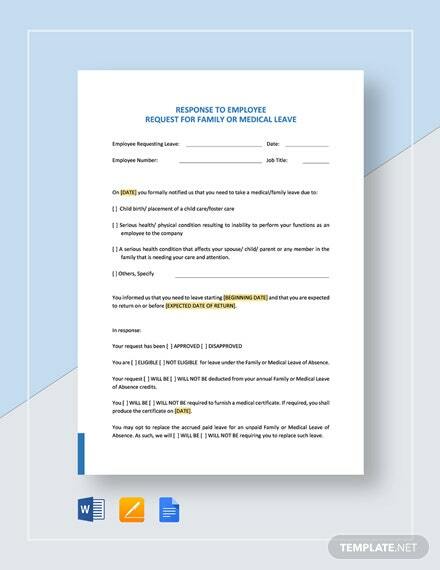 Personal matters may be limited to injury or sickness or +More in taking care of such. 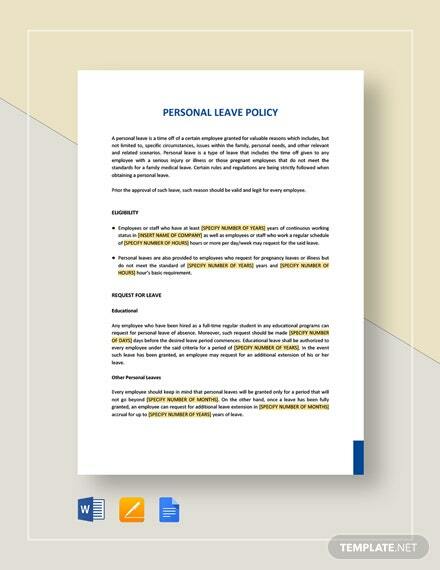 Get the flexibility of further adjusting the leave purpose for any other personal matter. 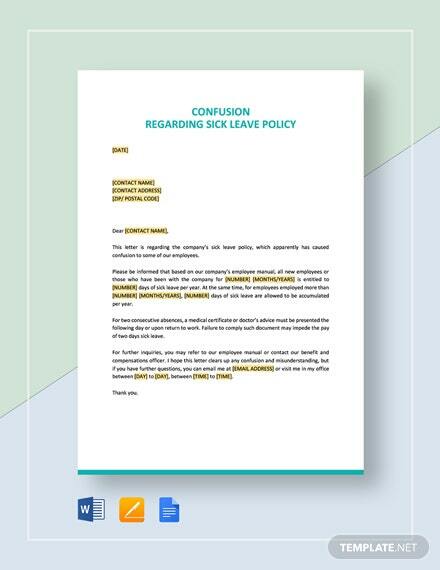 Provide your employees an added option whenever sick leaves have been used up. 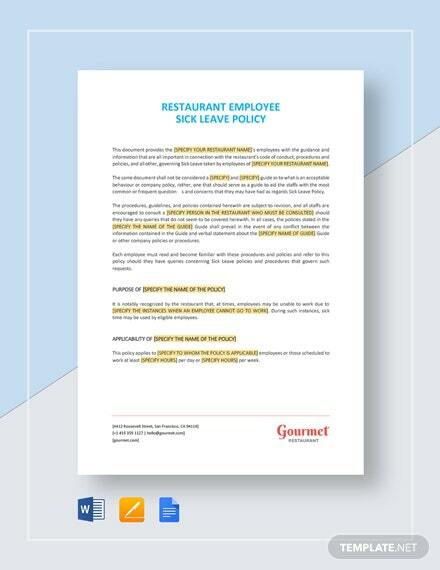 After all, healthy employees make happy employees who are able to do their jobs well. 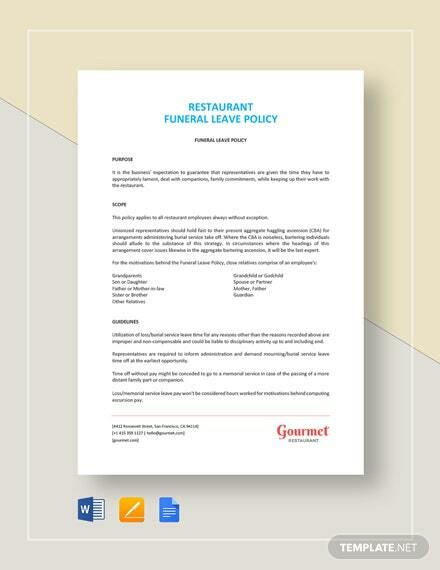 So make the right choice of getting your hands on this very useful template. 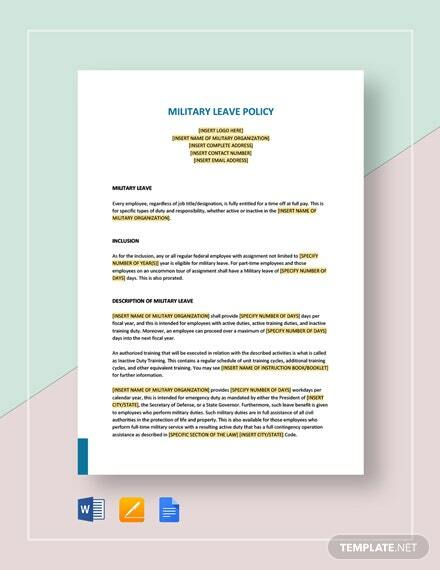 Download now to get instant access to the file.